T. J. Maxx & Marshalls: Your 1 Stop Shop for the Holidays! I don’t know about you, but I start my holiday shopping early – it is the only way I can stay on budget for my gift giving and actually have time to enjoy the holidays once they begin! Two of my favorite places to shop year round are T.J. Maxx and Marshalls; while they each have different clothing and household items, they share something in common: a price point that I can afford, even after I quit working last year to become a housewife. With my family being on one income, it is more important than ever that I stick to my budget, especially during the holidays! Now, you all know how often I shop at the T.J. Maxx nearest my home – I just tweeted about the awesome pair of knee-high black boots I purchased on Tuesday for only $24.99! But in addition to having spectacular prices on fabulous finds all year long, both T.J. Maxx and Marshalls have extra fabulous finds during the holiday shopping season. Whether you are shopping for your spouse, your coworker, or you tween daughter, T.J. Maxx and Marshalls have you covered with the perfect gift for everyone on your list! I especially love to buy stocking stuffers for my nieces and nephew there; they have great little gadgets on their end cap displays, sometimes starting at just $1.99! Aside from the tons of gifting options, T.J. Maxx and Marshalls has a home decor selection that will make your heart skip a beat – I tend to go a little overboard decorating for the holidays, and Marshalls and T.J. Maxx are two of my best-kept decorating secrets! They have everything from festive table clothes and coordinating napkins to items to trim the tree to wrapping paper, bows and gift bags. Attn family members reading this: gift cards for T.J. Maxx & Marshalls will score you extra cookies in your stocking! As you may have seen on television, T.J. Maxx and Marshalls offer all of these great items at up to 60% off retail prices! What better place to shop? Through their fabulous buyers, T.J. Maxx and Marshalls are able to fill their stores with wonderful department store pieces – but not at department store prices! I’m a Maxxinista, don’t you want to be a *Maxxinista too? 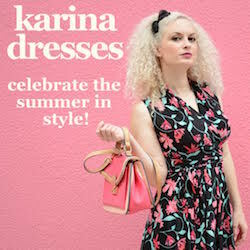 *Definition: Maxxinista is one who finds unique and original designer items at discount prices. Love their Christmas decor! Their prices are so good too. Our local Marshall’s has great deals on just about anything I can think of. Hey guys I got to this page hunting for a couple of the latest TJ Maxx clothing, man they have a really great section. For any kind of of we men that are broke after black friday we can pick up a $100 TJ Maxx giftcard here. I just got mine the other day and so its value a shot. Hurry before they stop giving them away.